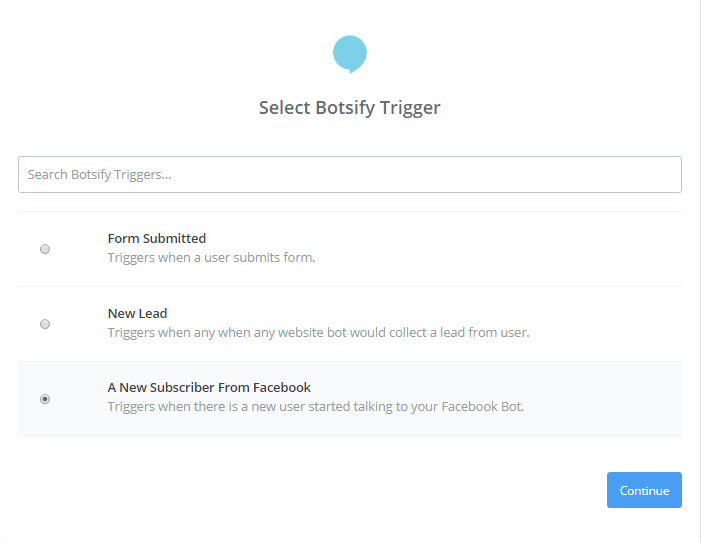 You will get notified when a new user starts chatting on Facebook. 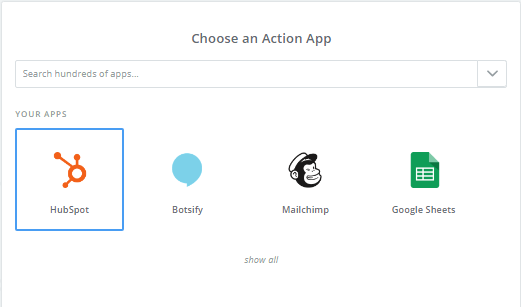 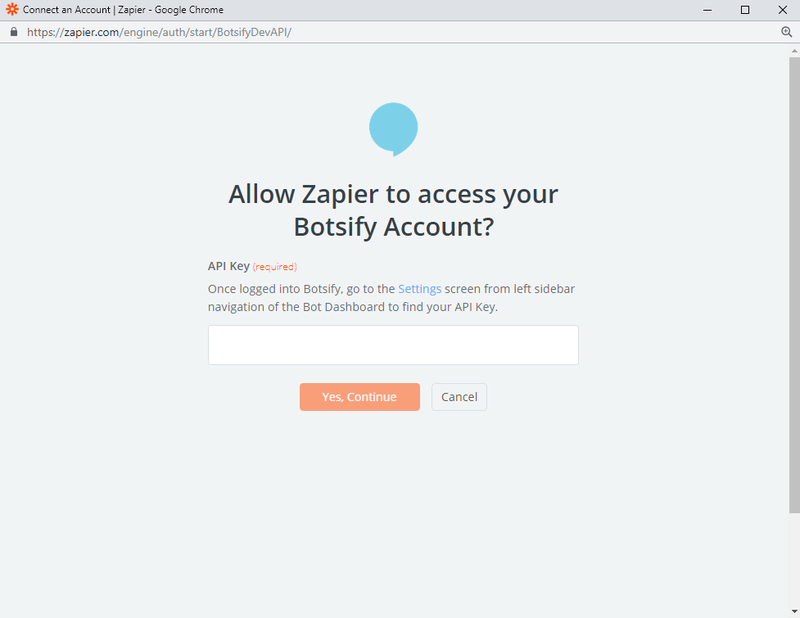 Let’s learn how to connect Botsify account with Hubspot to create its zap! 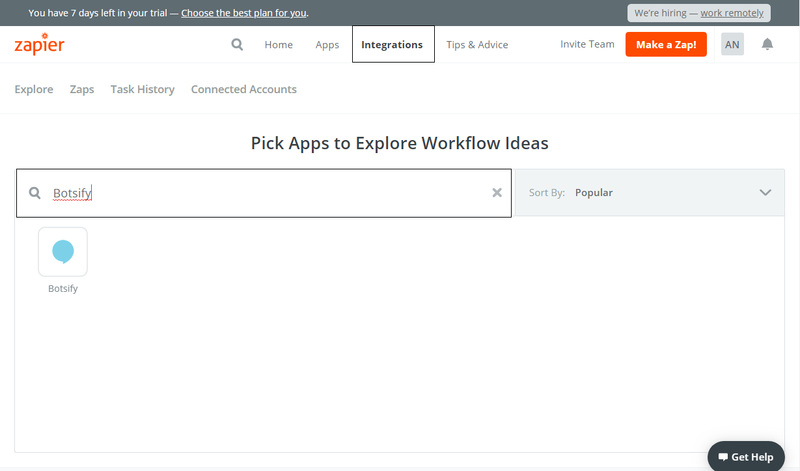 On “Pick apps to Explore Workflow ideas” search bar, write Botsify and select it. 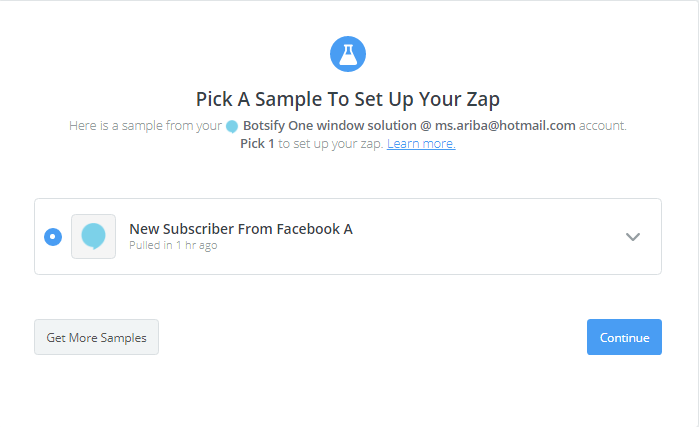 Now pick your sample to set up your zap. 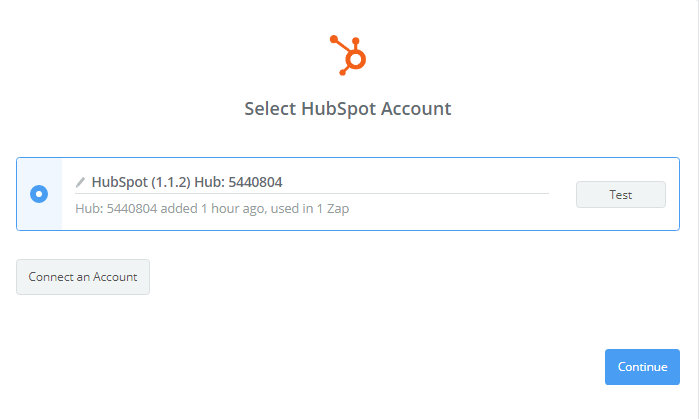 Send the test to Hubspot or skip it. 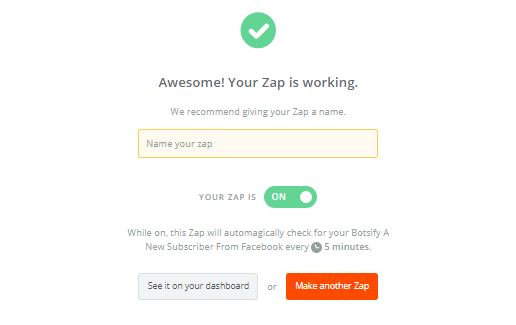 Your Zap is ready to use! 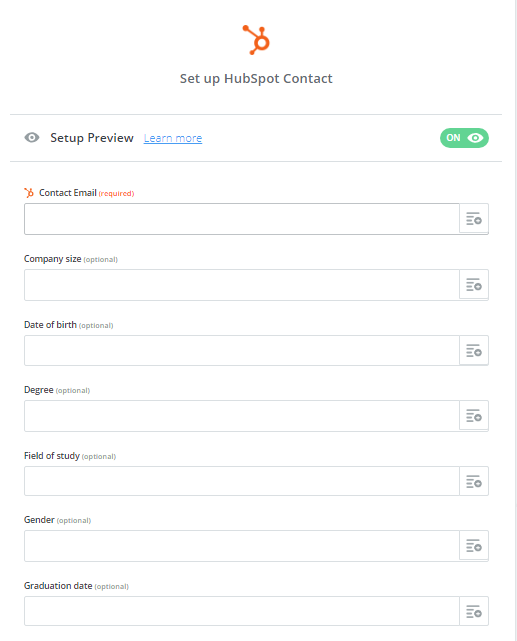 Now you can save contacts from Facebook bot to your HubSpot!